In July 2015, Medivizor introduced us to a project being conducted by the Broad Institute in conjunction with Dana Farber Cancer Institute called The Metastatic Breast Cancer Project or MBC Project. In October of 2015, after two years of work involving patient input and partnership, the MBC Project website went live. One of the reasons why this project is so important is it is patient informed and included. Reaching patients with breast cancer is difficult for researchers. Eighty-five percent of all patients with breast cancer in the US are treated at community hospitals rather than large academic research centers. Only 5% of cancer patients participate in clinical trials. Patients, medical records, health information and tumor samples are dispersed all over the country. 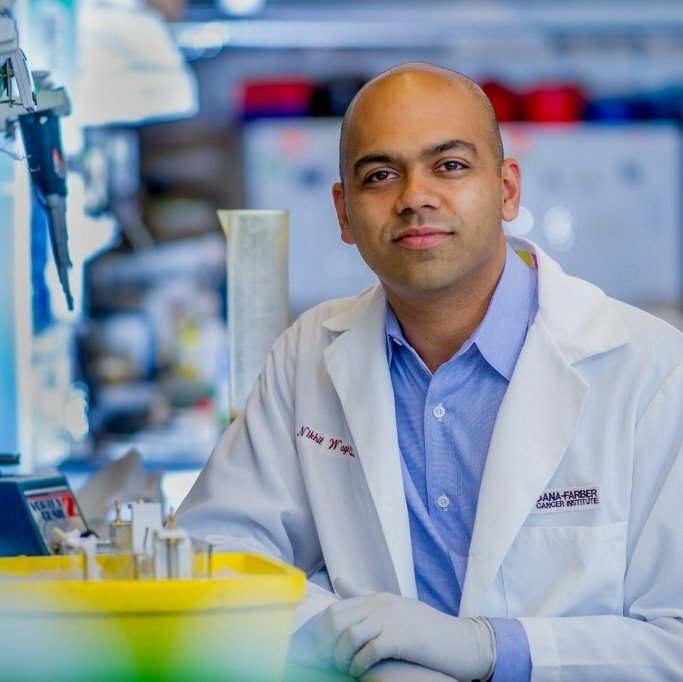 Access to that missing data could be instrumental to finding treatment options that actually cure this terrible disease. 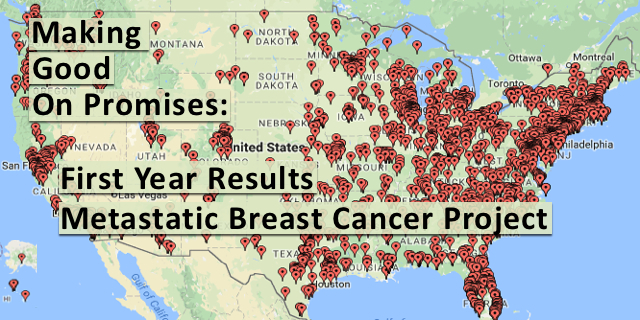 Since October, the MBC Project website has had over 3000 men and women with metastatic breast cancer in the US press the button, “count me in,” to indicate an interest in being a part of the project. Once they click that button, there is a simple survey which asks for date of initial diagnosis, date of diagnosis with metastasis, and the type of breast cancer the person was first diagnosed with: ER (estrogen receptor status), PR (progesterone receptor status), and HER2 status. There is a question about extraordinary responses to treatment and the survey provides opportunities for people to write what they think is important for the researchers to know. 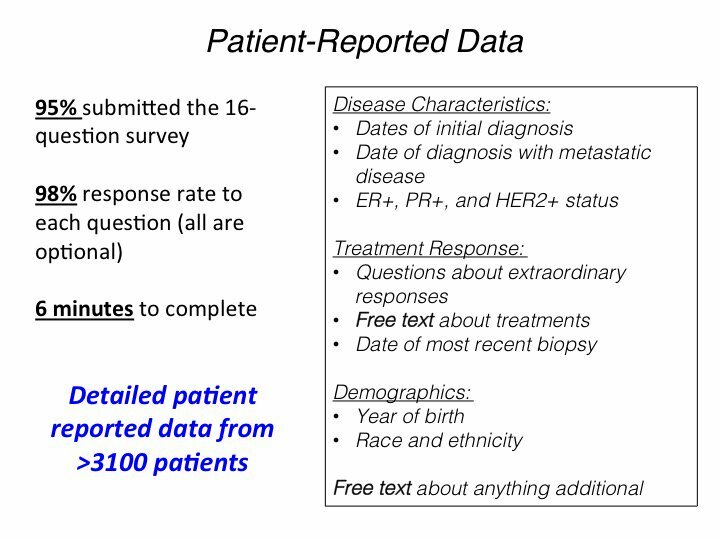 Finally, they ask for the date of most recent biopsy and the year of birth, race and ethnicity. Of the over 3000 who clicked the button, 95% have answered 98% of the questions: a remarkable completion rate. The MBC Project presented some preliminary data from the first year at the San Antonio Breast Cancer Symposium held in December 2016. Dr. Wagle presented the poster to Facebook followers.